The platypus belongs to the monotreme family, a small group of mammals that lay eggs and produce milk to feed their young. Credit: Laura Romin and Larry Dalton. A breakthrough by Australian scientists has brought the introduction of an unlikely hero in the global fight against antibiotic resistance a step closer; the humble platypus. Due to its unique features - duck-billed, egg-laying, beaver-tailed and venomous- the platypus has long exerted a powerful appeal to scientists, making it an important subject in the study of evolutionary biology. In 2010 scientists discovered that platypus milk contained unique antibacterial properties that could be used to fight superbugs. Now a team of researchers at Australia's national research agency, the Commonwealth Scientific and Industrial Research Oganisation (CSIRO), and Deakin University have solved a puzzle that helps explain why platypus milk is so potent - bringing it one step closer to being used to save lives. 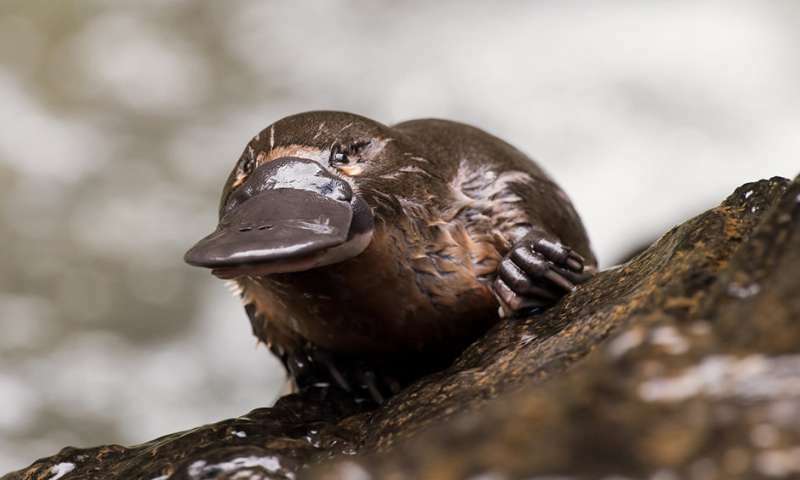 "Platypus are such weird animals that it would make sense for them to have weird biochemistry," CSIRO scientist and lead author on the research published in Structural Biology Communications, Dr Janet Newman said. "The platypus belongs to the monotreme family, a small group of mammals that lay eggs and produce milk to feed their young. By taking a closer look at their milk, we've characterised a new protein that has unique antibacterial properties with the potential to save lives." As platypus don't have teats, they express milk onto their belly for the young to suckle, exposing the mother's highly nutritious milk to the environment, leaving babies susceptible to the perils of bacteria. Deakin University's Dr Julie Sharp said researchers believed this was why the platypus milk contained a protein with rather unusual and protective antibacterial characteristics. "We were interested to examine the protein's structure and characteristics to find out exactly what part of the protein was doing what," she said. Employing the marvels of molecular biology, the Synchrotron, and CSIRO's state of the art Collaborative Crystallisation Centre (C3), the team successfully made the protein, then deciphered its structure to get a better look at it. What they found was a unique, never-before-seen 3D fold. Due to its ringlet-like formation, the researchers have dubbed the newly discovered protein fold the 'Shirley Temple', in tribute to the former child-actor's distinctive curly hair. Dr Newman said finding the new protein fold was pretty special. 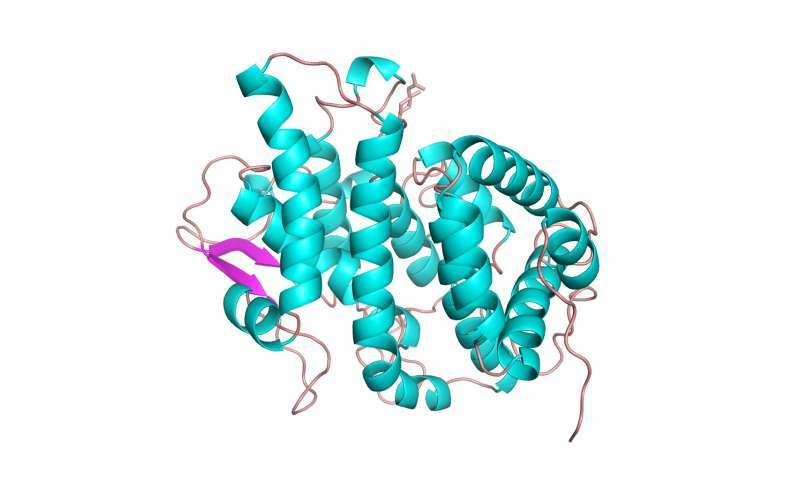 "Although we've identified this highly unusual protein as only existing in monotremes, this discovery increases our knowledge of protein structures in general, and will go on to inform other drug discovery work done at the Centre," she said. In 2014 the World Health Organisation released a report highlighting the scale of the global threat posed by antibiotic resistance, pleading for urgent action to avoid a "post-antibiotic era", where common infections and minor injuries which have been treatable for decades can once again kill. The scientists are seeking collaborators to take the potentially life-saving platypus research to the next stage. If you can't drink cow's milk, what is the best alternative?